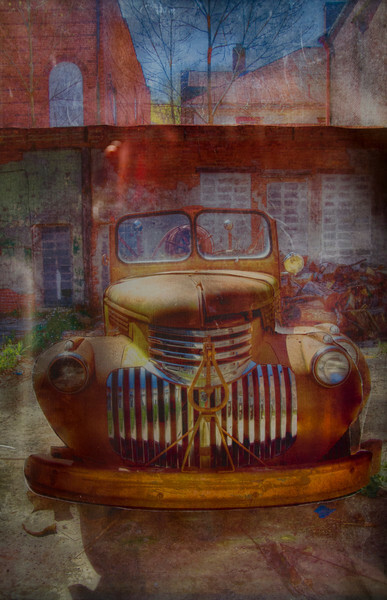 "Pocahontas Fire Truck" -- A combination of gel transfer prints onto four layers of glass with rear illumination. Created from using the digital HDR process in order to increase the color saturation. The image was taken in Pocahontas, VA as part of an ongoing series on abandoned places.